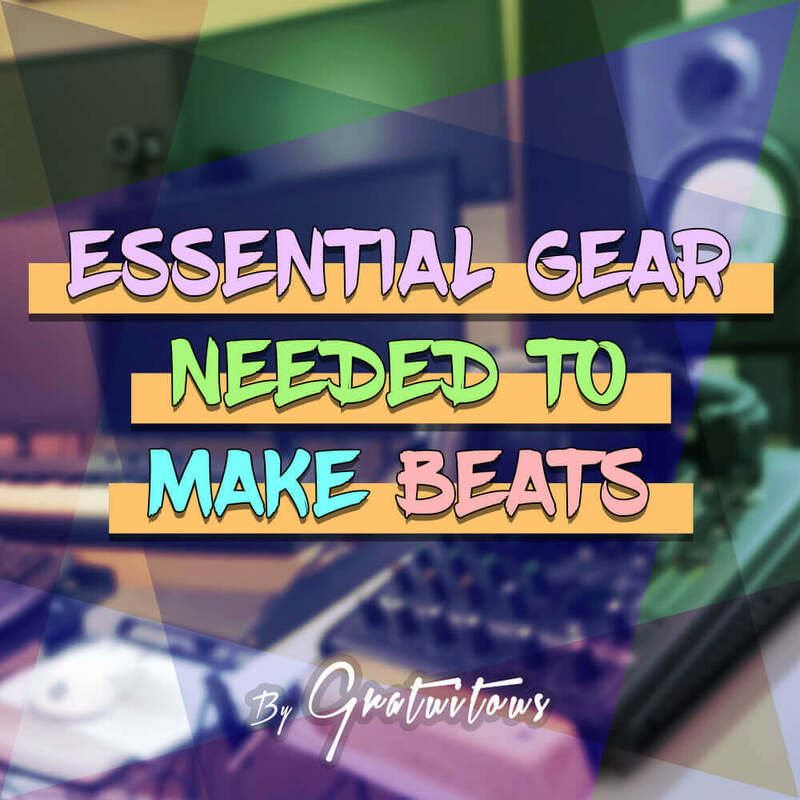 We are going to cover how to master a song in FL Studio. In my opinion, besides learning compression, mastering is one of the trickiest parts of audio production to learn. I’m very thankful for people like Ian Shepherd standing up and starting Dynamic Range Day to let us producers be aware of the dangers of loudness to our music. Education is the best tool for defense. And that’s what I seek to do in this write-up! What’s the point of mastering in the first place? What are the loudness wars – and why they’re ending. The best mastering plugins – in my opinion! What does Mastering a Song Do? Set proper intro/outro times between songs – Having the right time spacing between songs is very important for an album’s emotion. Volume and EQ balance between tracks – The listener shouldn’t have to adjust the volume knob from song to song. EQ balance is harder to achieve, but in simple terms, you do not want a super bright song to transition into a super dull song. Adding ISRC Codes into the song – an ISRC code gets embedded into each individual song, and allows others to properly track your music for plays and monies. But I’m sure most of you have come here to learn how to master your music loud. What’s the Point of Mastering? Once you are done your final mix, and left the proper headroom, your song is ready for mastering. Mastering takes your the final mix, which is typically a 2-channel stereo 24-Bit or 16-Bit .WAV file, and applies volume, eq, and compression if needed. There are other techniques and tools available to us, which we cover below, but that’s a quick overview for now! 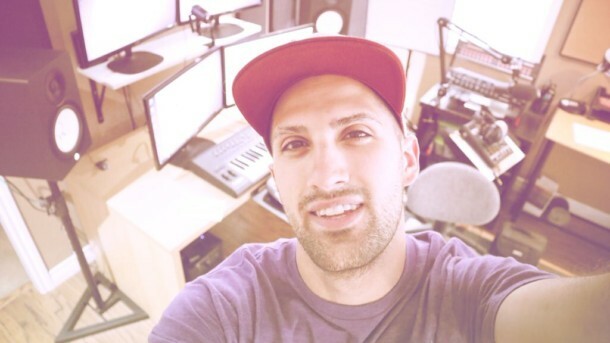 There is also stem mastering, which groups certain elements of a song together such as the drums and bass, instruments, and percussion elements in their own files. This gives the mastering engineer the flexibility to still adjust the drums and bass as if they were mixing – maybe they just couldn’t get the master to sit right. In my opinion, stem mastering is a form of mastering, but it’s still also on the mixing side of things too..
Increasing loudness not only allows you to be competitive, it also adds excitement and energy to your song! This is because it reduces the dynamic range which makes quieter parts louder. Technically, your master should be sent to a professional studio that has a properly treated room so they can accurately monitor your mix. But for the most part, you can get away by mastering yourself and comparing on multiple systems until you get it pretty close! Mastering is all about subtle moves. Small EQ adjustments like .5dB can make a difference, and the same holds true when we cover compression later on. It’s no longer necessary to push your limiter’s volume to extreme levels any more. But you don’t want to be too weak on your mastering levels either! But if you push too far, there’s no life in your music. Push not hard enough, and you missed the energy of your master! So where’s the balance, and why are the loudness wars ending? Well, streaming services like YouTube, Spotify, and others, are starting to implement loudness standards. So we see these streaming services are introducing loudness normalization. This means streaming services choose to play music at the same consistent volume from song to song. This is all about keeping music sounding good, and allowing the listener to choose how loud to listen. 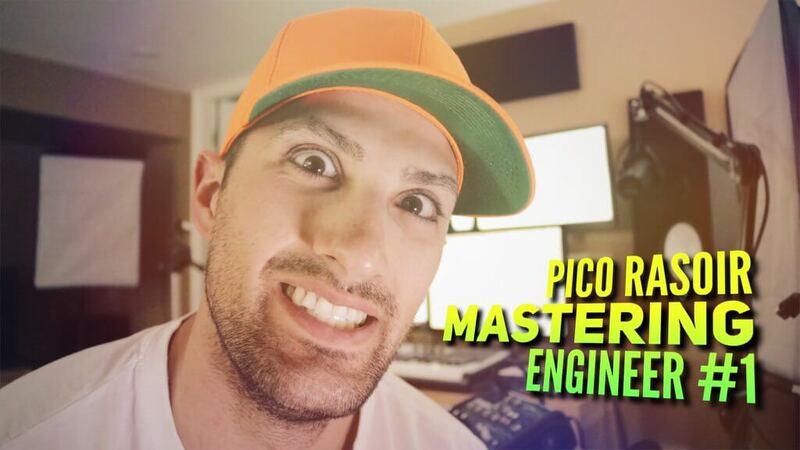 Pico Rasoir (Mastering Engineer #1) pushes his master very hard into a limiter. Most of these transients have been skewed. We get loudness, but it lacks its original punch and natural sound. Pico exports his master at -8 LUFS. 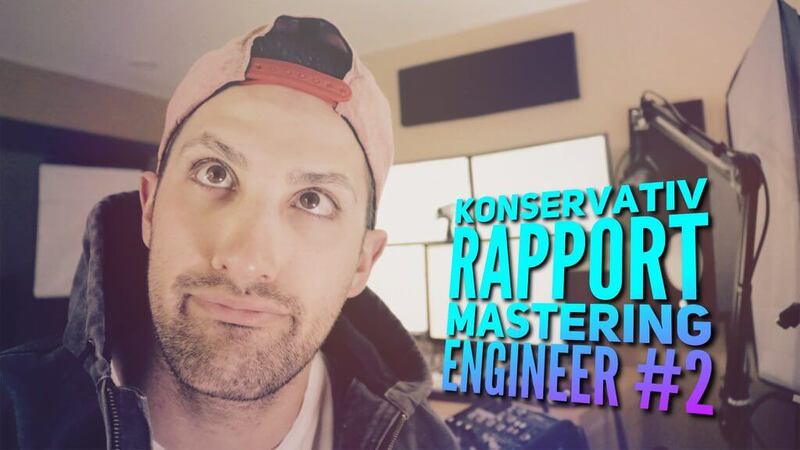 Konservativ Rapport (Mastering Engineer #2) has a great master. It was processed aggressively, but retains lots of dynamics, energy, and punch! Konservativ exports his awesome master at -13 LUFS. Now let’s say a certain streaming service plays all their music at -14 LUFS. They will actually turn up or down a song’s volume to match this desired LUFS level. Pico’s loud master at -8 LUFS already has its peaks chopped off – turning down the volume to -14 LUFS doesn’t bring them back. The choice of such a loud master is permanent! But what about the Konservativ’s master at -13 LUFS? The streaming service will still bring this down 1 LUFS from -13 LUFS to -14 LUFS. The difference is Konservativ’s master still had dynamics, and still had room to be pushed louder if he really wanted. But by itself, Konservativ’s master sounds great. He mastered it how he wanted it to sound, and enhanced the song’s energy. But what if your master was below -14 LUFS? Like.. what if you mastered at -16 LUFS? Well, from what I’ve read, these streaming services will actually increase your track’s volume to -14 LUFS (in case of our example), and may apply processing like limiting to achieve this. 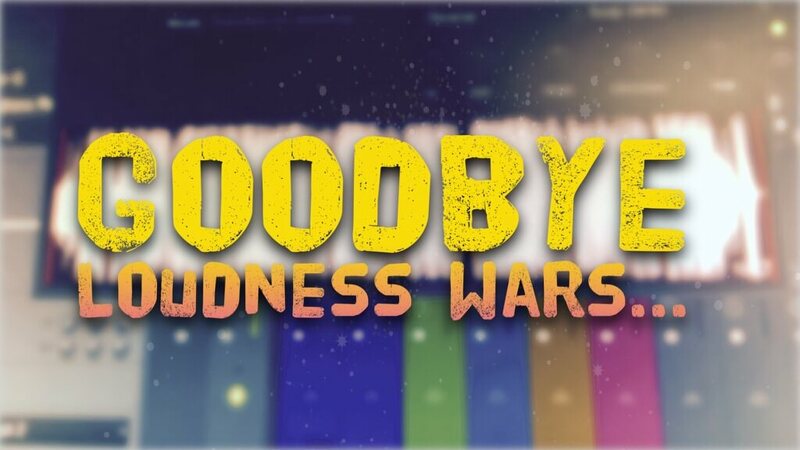 The loudness wars are coming to an end. We can now focus on mastering a track to bring out its energy and best parts. If we do decide to use clippers etc. it’s actually as an artistic choice, and not to obtain extreme loudness levels. 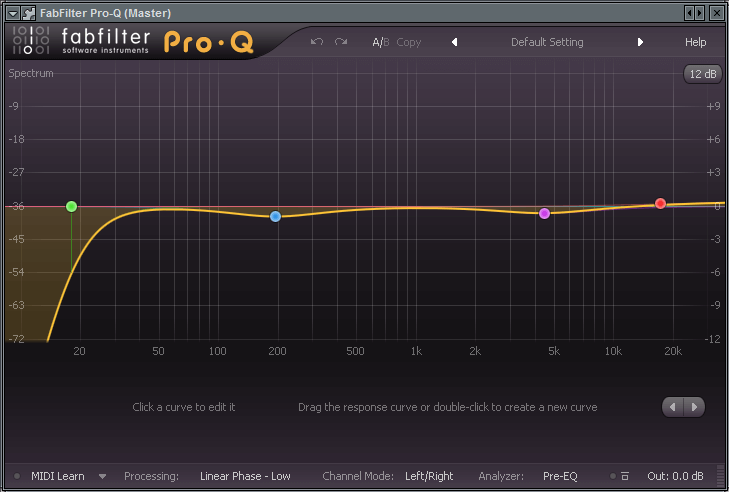 My first move in my mastering chain is to add a limiter and metering plugin. The meter is always the ABSOLUTE LAST PLUGIN, and the limiter is always second last. The order you place your plugins matters. The limiter is always last (but before your meter) to prevent distortion. I set my output ceiling to -1dB to prevent distortion from inter-sample peaks, if my track ever gets exported to MP3. The next step in my mastering process is to open another plugin which is used only for volume. 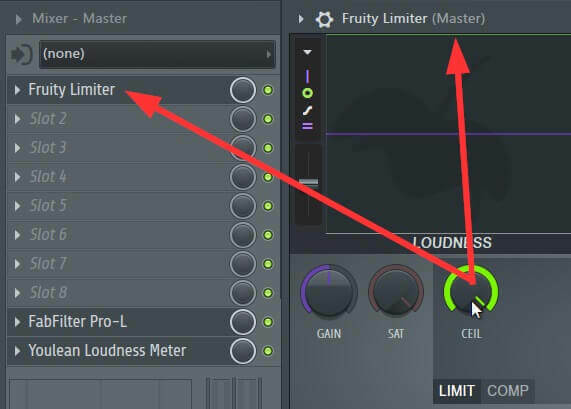 I’d recommend the Fruity Limiter. Just make sure to put the ceiling all the way to the top so you do not limit any of the signal – I do that with my actual limiter plugin at the end of the chain. In the next step, I explain how to use this gain plugin. Your next step of the mastering process is to open your metering and limiter plugins. 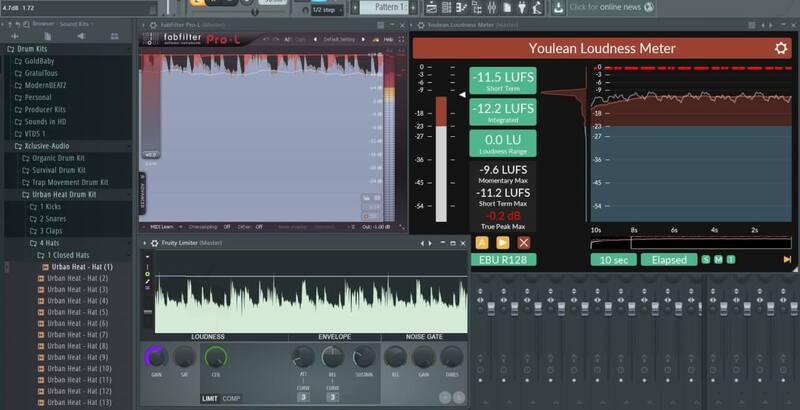 You can monitor your loudness as you now increase the volume on your gain plugin. In this example, I purposely added too much volume from my gain plugin. On my limiter, you can see I’m hitting the ceiling a bit much for my taste. And our level is at 12.2 LUFS. After increasing your volume, look at the metering plugin. If you’re wanting to reach -14 LUFS, but your track is smashing the limiter, you may need to add some compression. This is a game of trying to hit a certain LUFS volume, while making the track sound great. When we hear something louder, we think it sounds better. You will hear this over and over again in the audio community – and it’s true! This is why I apply gain first. Now when applying EQ, compression, or any other effect, I make sure to match these changes to the same volume for A/B purposes. When I turn the plugin off and on, I hear the difference of the effect, not the volume difference which could skew my judgement! If you are using a reference track, now’s a good time to compare between your track and that track. You again want to make sure the reference track is set to the desired LUFS you’re wanting to obtain for a fair judgement between your master and the reference track. After boosting my level with the Fruity Limiter I get into some other effects, if necessary. In all honesty, I usually always add compression with my own mixes, as I know it glues my final mix together for a nice balance. I tend to add just a bit of subtle compression with Pro-C by FabFilter. I set my ratio to about 1.25:1, a longer attack at about 125ms +/-, a fast-medium release (about 11 o’clock), and then lower my threshold till I see about 1-2 db of gain at times! Notice I did not write all the time. I want this compressor just helping my track even out a bit. Also, notice the sidechain input on Pro-C. When using a single band compressor, it reacts to all frequencies, and our kick drum and snare are typically our loudest hits in songs. If I didn’t put this to about 200Hz, whenever the kick/snare plays, this triggers the compressor on EVERY HIT! This really weakens a kick drum rather than evening out a track. So by filtering out the input signal the compressor listens to, it will not pump as hard, and actually compress to keep the song more even. This still does turn down the kick drum, but only when the middle frequencies are going over the threshold, rather than have the kick drum lower the whole songs volume every hit. One big things you have to be careful of with compression is too much gain reduction when it comes to the chorus. This is because your chorus is the loudest part of the song! So when you go and adjust your compression settings while listening to a verse, you may have an inaccurate representation of your whole song because once it goes into the chorus, the compressor can actually reduce the volume so much that your chorus becomes quieter than your verses! So it’s important to test your compression settings from verse to chorus. You do this by playing a little bit of a verse then allow the chorus to play. Listen closely to any audible compression artifacts like too much gain reduction. How you fix this is either using a lower threshold/lower ratio, or you can set a higher threshold/higher ratio. I typically will increase my attack time, making it longer, so the compressor isn’t as noticeable when my snare/clap plays when using a higher ratio on a compressor on the master bus. Now, I typically master in the same file as I actually created my song in. Yes, this is bad practice, but I’m lazy and do not like extra files on my hard drive. This also gives me the flexibility to adjust an individual sound without EQing the whole song, making for easier changes. Sometimes in mastering, if the mastering engineer feels he cannot fix a certain problem in a client’s mix, he requests a revision be sent back to him. By working in the same session, I save myself time from having to export back and forth just to raise/lower a certain sound’s volume. There is a downside to this – some people will keep tweaking rather than focus on the mastering. 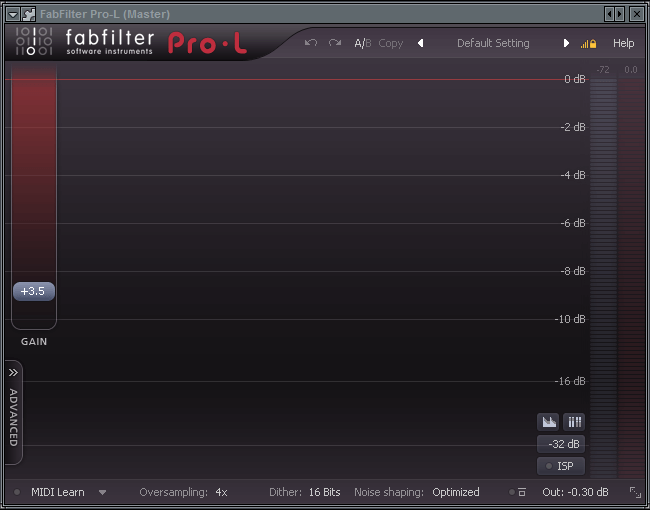 With that said, the next plugin is Pro-Q by FabFilter. If I feel the track needs just a bit more high-end, this is where I’d do a high-shelf boost – maybe .5dB to 1dB from 5kHz upward. On the other side, if I feel my track is very congested in the low-mids, I may do a subtle wide cut at again .5dB to 1dB at around 300Hz. I am just throwing numbers out at you. Your track will be different – that’s the hard part with explaining this stuff! But that’s typically the idea. Since I have the benefit of working on my individual tracks still (mixing), I can always go adjust a certain sound quickly. But if I feel my song is lacking something as a whole, that’s where I’d do some slight EQ tweaks. Fabfilter’s Pro-Q also allows for mid-side mode, which is useful to make sure the low-bass is in mono. This is good practice in case your song ever goes to a mono system, your bass is exactly how you’ve mixed it. 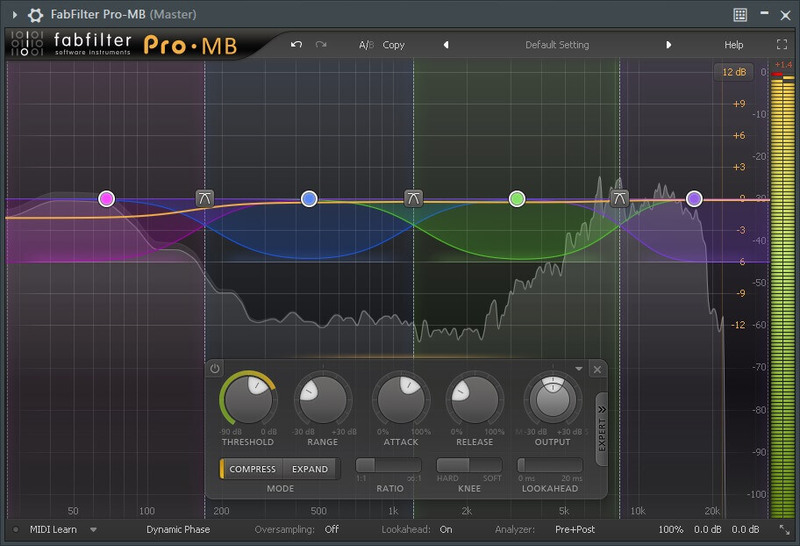 Next in my chain is Fabfilter’s Pro-MB. This multiband compressor is an absolute pleasure to work with. The problem with a single band compressor, like Pro-C, is that it reacts to the whole frequency spectrum. With a multiband compressor, you can create multiple bands which react differently to the particular band you’ve adjusted it for. Pro-MB is awesome because you can create tons of bands on the fly. If you want just one band, you can do that. Want 6 bands? You can do that. Obviously the more bands, the more confusion, so it’s best to take things slow. But I typically create 4 bands. One for my lows, mid-lows, mid-highs, and highs. Now because there are multiple bands, certain frequencies will react harder than others on certain bands. With a single band compressor, you get pumping if your compressor does not have a sidechain control. I said it’s typically your drum and snare that trigger the compressor the most. Since a multiband compressor has multiple bands, that kick drum is only triggering the low band, keeping the other 3 bands free to focus on their own frequencies. This is how professional releases keep the vocal sitting so nicely in the track, while keeping a nice balance on the song! The T-RackS clipper is the best clipper plugin that I’ve used so far! I love it’s simple workflow from an analog soft clipper, to hard digital distortion! The actual name for this plugin is T-Racks Classic Clipper. I do not always use a clipper. But if I feel I want my song to have a louder feel, and not hit my limiter too hard, I will balance my peak reduction between both the limiter and clipper. So what is the difference between a clipper and limiter? Well a limiter and compressor are very similar, a limiter is way more aggressive. A limiter/compressor turn the volume down when volume goes above its threshold. This is how you get that pumping sound depending on your attack/release settings. A clipper on the other hand does not have attack and release settings (or at least it shouldn’t..), and literally clips off the transient. There is no volume reduction, so you do not get that pump sound. This allows for a louder sound, but added distortion. But if used subtly, it can increase loudness, as well as help drums to hit a bit harder too – if not over done! A really cool professional tip mastering engineers use to not only allow other instruments to stand out, but increase stereo width in a song, is to use a stereo separation plugin. In addition, you can’t just use any stereo widening plugin. Most plugins that increase/decrease width work on a song’s whole frequency spectrum. This is BAD from a mastering stand-point. You want to use a stereo widening plugin that allows you to only increase the width of mid frequencies and high frequency content. These mid/high frequencies are much more forgiving, add that stereo width you’re looking for, and in addition, your bass, which should be mono, is still adding that major impact to your track. 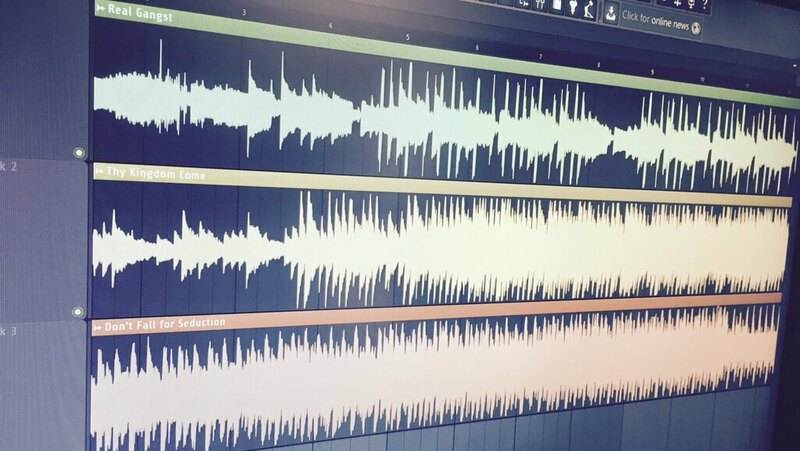 I use Pro-MB (multiband compressor) to achieve this wideness, if I feel my song needs it, or can benefit from it! Finally, we have our limiter. Any limiter will do the job for you, some just perform better under hard-use cases. Depending on how loud my song is already, I may push my level a bit higher. A/B volume comparison is absolutely crucial at the limiting stage. This is the difference between a beautiful master and a lifeless master. 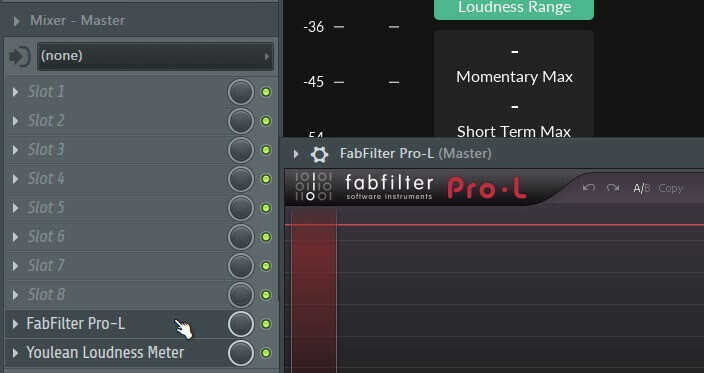 Fabfilter Pro-L has a cool feature if you hold down ALT and drag the volume up, it will lower the output ceiling at the same time you boost the volume on the input. You hear the effects of limiting at a fair comparison! Is the limiting helping or making your drums sound weak? If my track is already at the desires LUFS, and not hitting the limiter, and I feel my master is how I want it to sound.. I’m done! 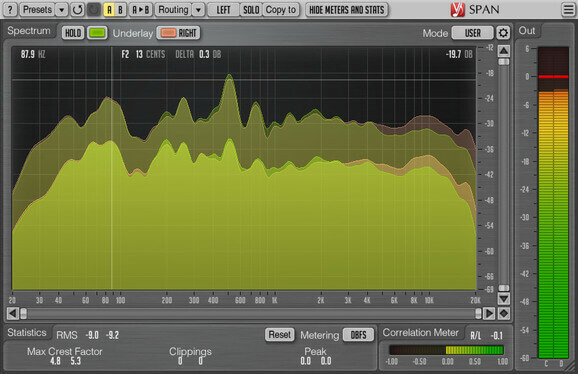 If my LUFS is not hit, and I’m not hitting my limiter, then I can either increase volume on my clipper or limiter. And the final plugin in my mastering chain is Youlean’s Loudness Meter. Now this meter actually doesn’t monitor everything that is going on inside your master. It strictly tells you loudness. For proper mastering monitoring, you will want a frequency analyzer as well as a correlation meter. Voxengo SPAN is a great FREE frequency analyzer. An alternative inside FL Studio is Wave Candy! This is a great tool to see your song’s frequency balance, and compare a reference track’s balance to your own. The idea behind a phase meter (correlation) is to see how wide your song is. Too wide, and it can have mono compatibility issues if your track ever plays on a mono system. You can also use the stereo knob on your master channel to check the mono version of your track, just to see how far you can push your wideness. I tend to keep Youlean’s Loudness Meter open at all times during the mastering process to keep an eye on my desired output level. So that’s how I achieve loudness while still retaining lots of dynamics in my music. Typically, my end result from before to after master is a more balanced production. The drums aren’t way louder, and you can generally hear all elements of the mix. If I were then releasing this as an album/beat tape, I would then listen to the tracks one after another. If one track is way too loud, or way too bright in EQ, I go back and adjust accordingly. It’s usually a back and forth process. When I feel I have a good copy to release to the public, I will put this onto an iPod or burn to a CD, and listen in my car for a week or so. As I’m doing that, I make notes of what I like/don’t like and tweak this accordingly. And that’s how I release my beat tapes! FL Studio by itself actually has great plugins to master your beat. I just prefer third-party plugins for ease of use/features/workflow. I will list my absolute favorite mastering plugins below. If you want a full list, you can view my favorite mastering plugins page. Fabfilters Pro Bundle – This is by far my favorite plugins I have ever used or owned. They are pricey, but Fabfilter creates premium and increases workflow tremendously. IK Multimedia T-RackS Classic Clipper – This is my favorite clipper. I find T-RackS plugins cause latency when not on the master bus, so I typically only use this when mastering. The best way to buy this is through the bundle as you save money compared to buying the other plugins separately. 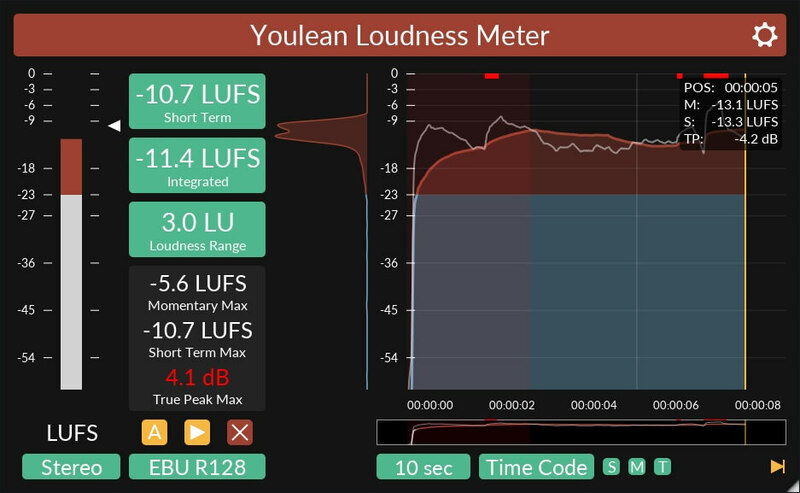 Youlean Loudness Meter – This is my favorite loudness meter, and it’s absolutely free for measuring LUFS. Variety of Sound DensitymkIII – I use this compressor a lot for a gentle glue of my song. 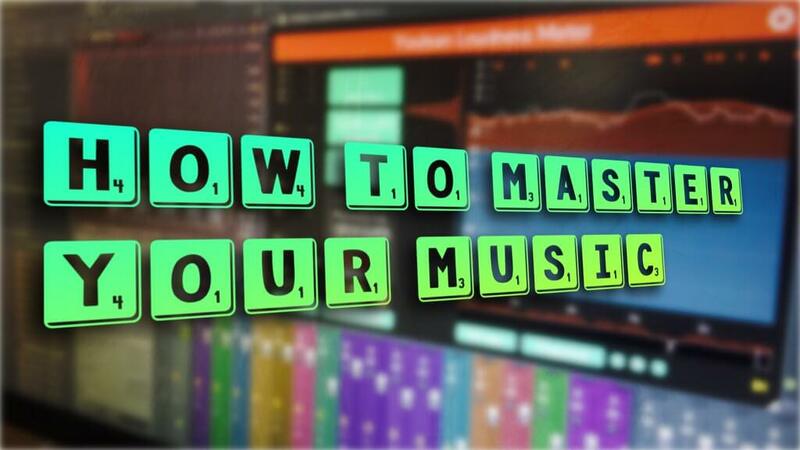 So that’s how you master a song in FL Studio, and my personal process of how to master. If you have any mastering tips, or questions about mastering techniques, leave a comment below to start a conversation.